Words are awesome. For writers they're meat and drink, bread and butter, and everything else that goes on the dinner table. But even writers run into words we've never seen before, and at times like that Google Search is an awesome tool for expanding my vocabulary. 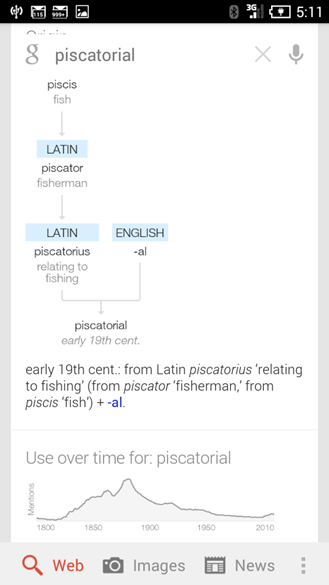 Google Search just got a little better, because the definition cards have been updated to include word origins and their usage over time. The origins aren't just a simple footnote, either, such as "Germanic" or "Latin." No, we're talking full trees of information, with base words, root words, prefixes, suffixes, alternate forms, transliterations, and all kinds of other goodies. The usage over time graph shows how long the word has been in common usage, and it's also a pretty good indicator of whether you'll be able to use it in conversation without getting stared at. The full origin tree isn't available for all words, but it should give you a place to start if you're trying to boost your word power. Some words also get synonyms, antonyms, and formal or informal usages. 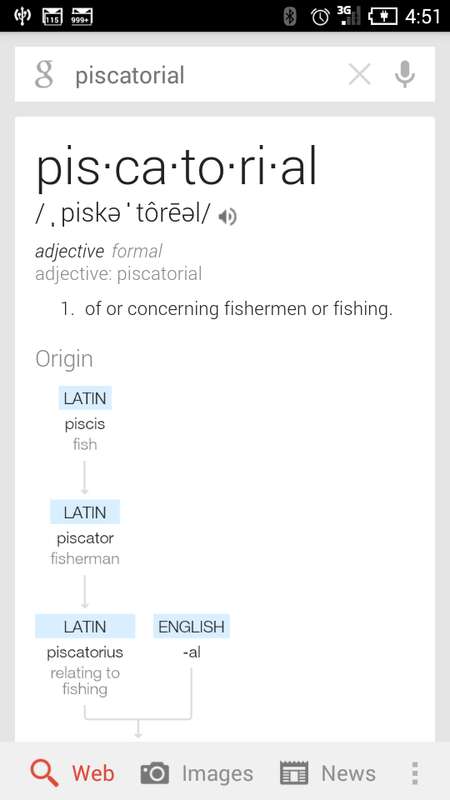 To see the new information, just tap the "more" button after searching for a relatively uncommon word. 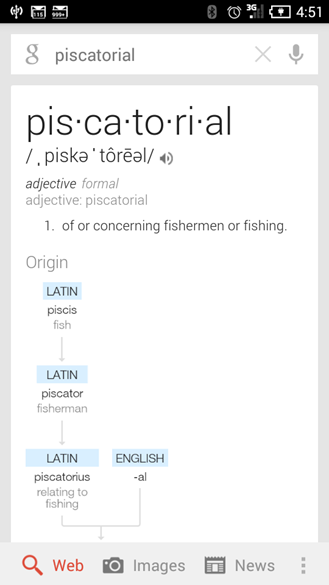 If the definition card doesn't appear, just re-enter your query with "define" before it. Curious about pronunciation? 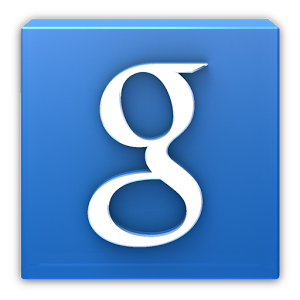 Tap the little speaker icon next to the phonetic spelling to have Google say it out loud. Update: Sorry international readers. This feature is only active in the U.S. at the moment.